This is my upward crane pose in doggy yoga – barks with puppy laughter. I went to work with mom one day and of course I was on my best behavior. This was me begging for her to stop work and take a break to hold me because well you know I needed some reassurance of how much she loved me. Do you ever get like that? Of course, she held me for the longest time. I even sat in her lap and on top of her desk while she worked. She said she could work over me… and she did – barks with puppy laughter. Today I leave you with something from daddy. You know that he and mom can not go out unchaperoned together. That leads to trouble. Today’s video from daddy just proves that point. Hope you enjoy it my friends. Smooches and puppy licks. Are You Ready for Some Bowl Games?? First off, let’s talk about the most important bowl game today – Puppy Bowl. The show starts promptly at 3PM on the Animal Planet. If you’ve never seen the Puppy Bowl, you really need to watch it today. It is totally awesome and keeps me busy cheering for hours. Daddy has his game later today (which I’ll tell you about in a minute) and I have my game with the Puppy Bowl. And don’t think that the Puppy Bowl is just about a lot of puppies on the screen doing nothing. There’s actually a referee, puppy touchdowns, penalties, timeouts and substitutions. That’s right – it’s a Puppy Bowl to see! The rules are easy. Puppies go on the field and when a puppy drags one of the football shaped toys into the end zone, a puppy touchdown is declared. If a puppy has an accident on the field by ‘going to the bathroom’, a penalty is called. If the water bowls need to be refilled or puppies get into a fight, timeouts are called. And, you know what they call it when the puppies get into squabbles? Unnecessary rrruuufffness. Snorts. And if the puppies fall asleep, substitutions are sent in to play. Over the years, they’ve had different ‘cheerleaders’. In the past, I’ve seen hedgehogs, bunny cheerleaders, chicken cheerleaders and my favorite in 2012 was the Piggy Pep Squad. Personally, I think they need to bring the Piggy Pep Squad back. I would *so* want to try out for the team. I think I have what it takes. I have the look. I have the chemistry. I have the personality. I can dance. But if the Puppy Bowl doesn’t it do it for you, you can always wait for dad’s game later today at 6:30PM. THE Super Bowl. 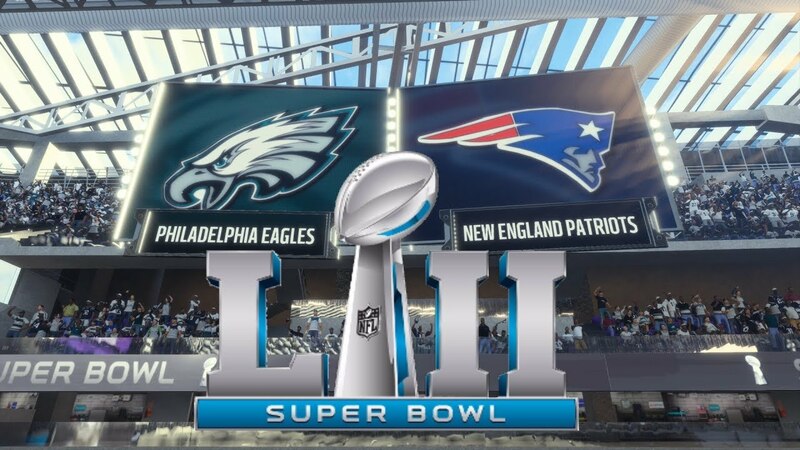 Two really good teams will be going head to head – New England Patriots vs Philadelphia Eagles. And don’t forget the half time show on the Super Bowl either. This year they are going to have Justin Timberlake performing. And the other thing about the Super Bowl, you *have* to watch the commercials. They are usually the most hilarious commercials to remember for the night. So my friends, get your snacks and drinks ready. Go to the potty early so you can enjoy all of the fun today. Get comfy on the couch. I’m going to be watching the shows all day long. And hopefully, mom will pop me some popcorn.